In order to run a successful business one must constantly change with the flow of the trend. Palermo template deals with different training, consulting, coaching professions. 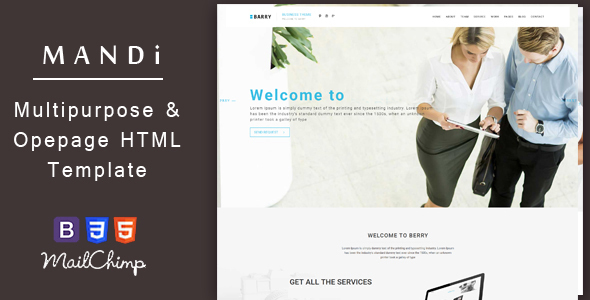 It has a premium HTML template that helps to build various types of business related websites. 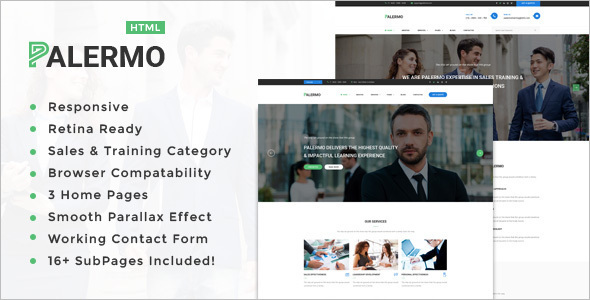 These facilities should give you an idea about the kind of service provided and the benefits achieved especially by the seller so if you decide on buying the services of Real Estate HTML Templates you will always have an edge over others. This is an awesome design idea for your online magazine and journals. The Html files are so well organized and adjusted and set according to their names. This extraordinary HTML template for hotel-related websites has been built using the best SEO based coding standards. One homepage of its features a design that is unique and catchy. myWedding is a wedding page which has been designed to carry on with the wedding business. The sole purpose of an album is to preserve the memories, of a special date and place, which is of immense significance to your life. It is a conclusive and ultimate package for the management of all the online medical portals, hospitals, clinic, health care, nursing facilities, physical therapy etc. Do you want to promote your hotel and you’re searching for a theme that aptly serves your needs? Life is so easy with easyCorp. A simple tool can be so helpful that you can actually create a nice website within just 20 minutes! Isn’t it amazing.Not only so easy to create. Just like the name, this beautiful house template bore a beautiful outlook. The template is specially designed for beauty as well as related to health. When you’re running a chain of restaurants serving seafood, Long is the one stop where you can get a number of services to help manage your restaurant chain’s online presence.